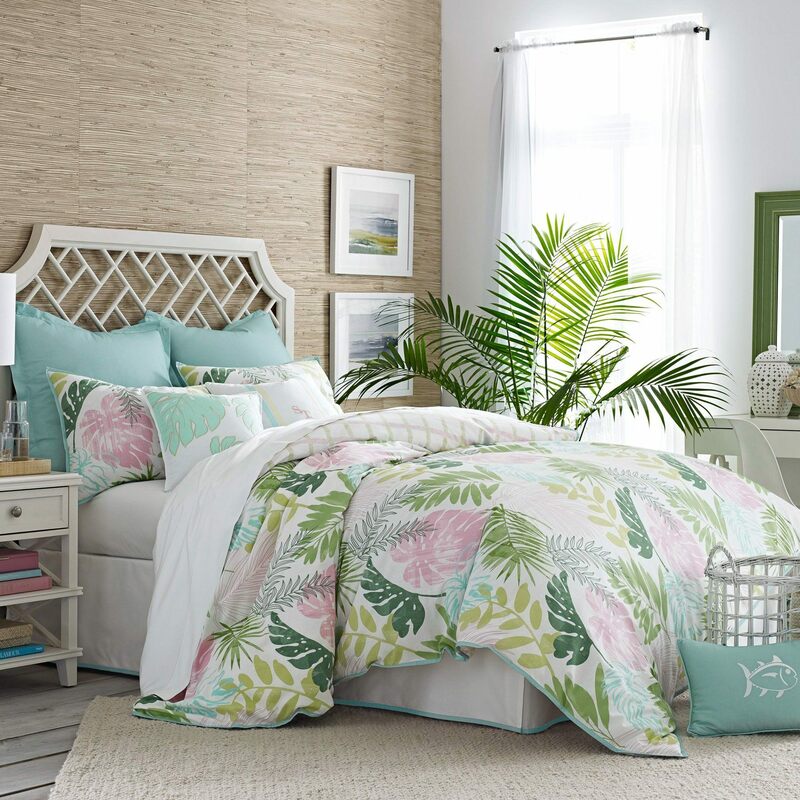 The Southern Tide Tropical Retreat Comforter Set adds island style to any bedroom with a vibrant palm leaf print. 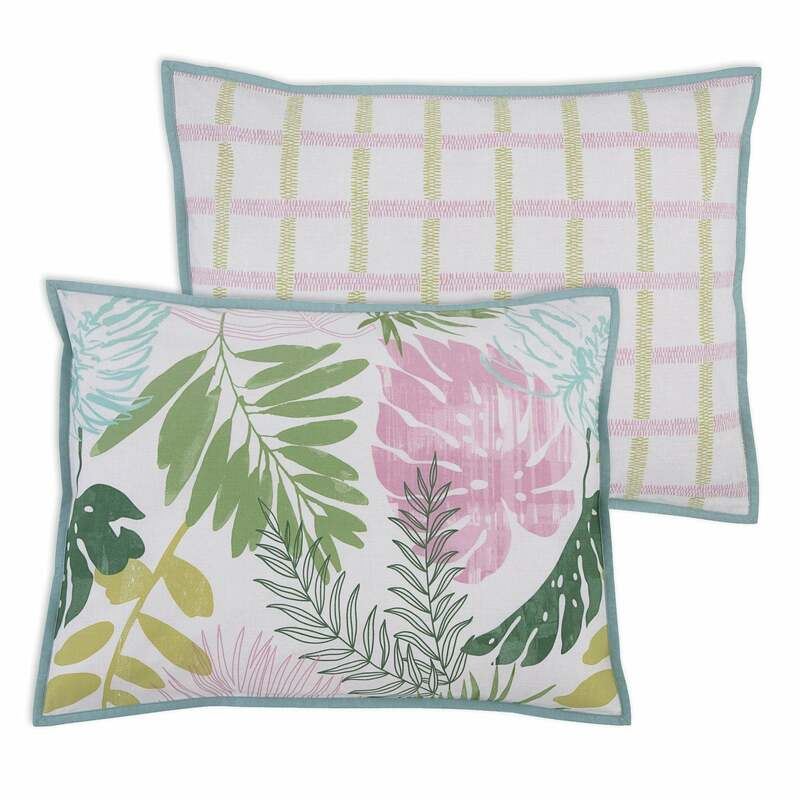 Made in blended cotton, this combo is reliably soft, comfortable, and warm. 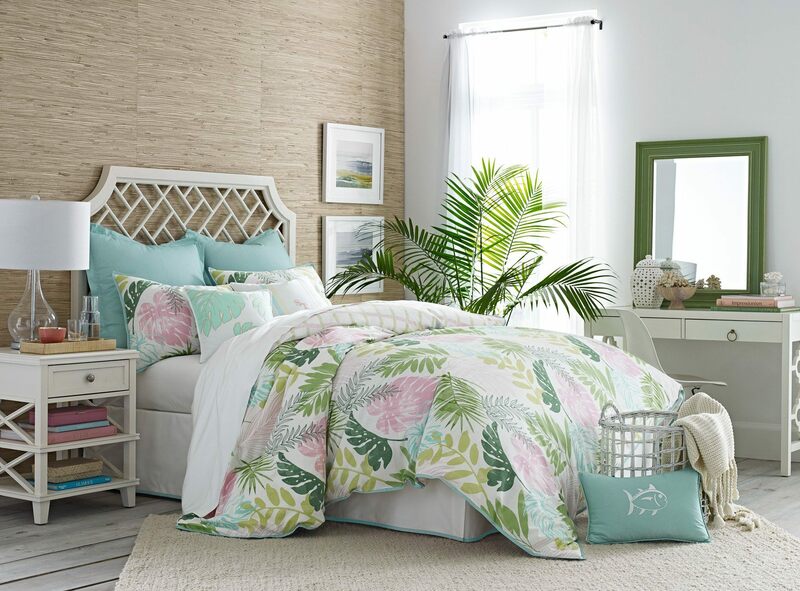 Complete the look with coordinating euro sham and decorative pillows, sold separately.